The 38th annual festival came and went in a blur of standing ovations, yo‐yo tricks, heartfelt remembrances, ice cream scoops, fascinating conversations and inspiring stories. And then, just like that, it was over. 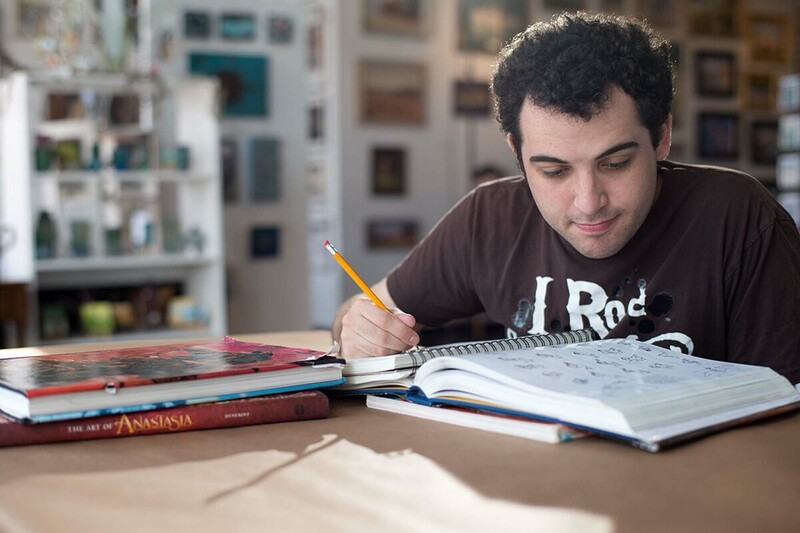 Life, Animated told the story of Owen Suskind, an autistic young man who learned to navigate the world through Disney movies. This film, which won the 2016 Audience Choice Award, taught us that sidekicks are the true heroes, and indomitable spirit comes in many forms. The brain of Mr. Brinkley, who spoke at the Moving Mountains Symposium on the history of America’s national parks, is evidently a large storage facility for historical tomes. He unpacked delightful stories of past presidents, ticked off the dates of significant events and wove a rich tapestry of the foundations of the National Park System — all without notes. And he did so with infectious mirth. Activist, doctor and Mountainfilm artist‐in‐residence Chip Thomas arrived in Telluride two weeks before the festival to install a provocative and beautiful mural on the wall adjacent to Ghost Town Coffee on main street. The piece provokes conversations, stops passersby in their tracks, raises questions and invites viewers to engage with it. It is, in other words, public art at its best. Paul Nicklen had the audience at High Camp in the palm of his hand with stories of a friendly leopard seal, a truculent walrus, a mystical white bear and an adorable penguin chick that keeled over. He was funny and captivating, and his images were breathtaking. 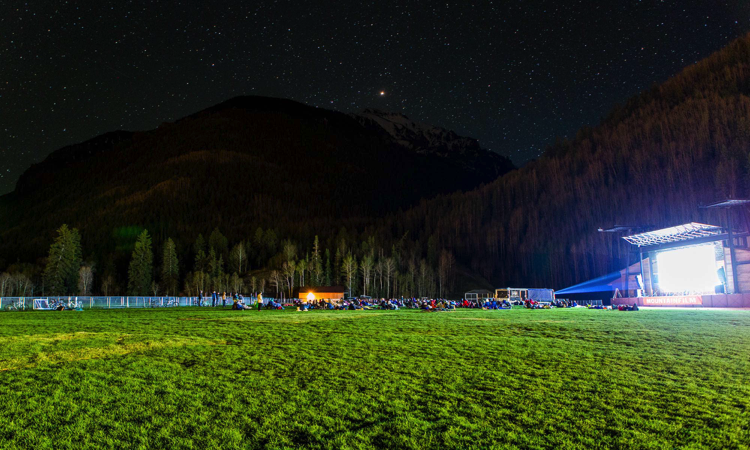 For the first time in a couple years, the night skies parted for beautiful starry weather during this Saturday evening Base Camp tradition. And you responded. Some 2,000 (!) people showed up with sleeping bags and plenty of stoke to take in a free evening of Icelandic surfing, mind‐melting bike tricks, a badass ski chick and — our personal favorite — active wear. 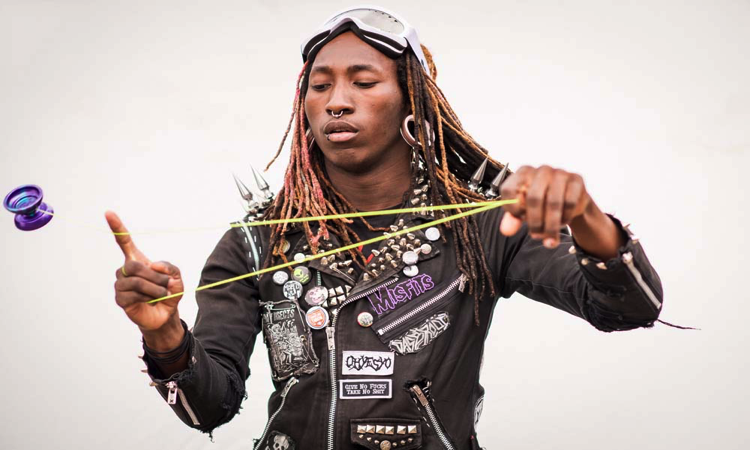 Whether he was inspiring audiences on screen or teaching kids tricks at the Ice Cream Social, Coffin Nachtmahr, the professional yo‐yo thrower and subject of the film Throw, left us with important lessons: Be yourself. Find your passion. And don’t underestimate the power of a yo‐yo. When 12‐year‐old Navajo singer Tonisha Draper took the mic at the opening of the Moving Mountains Symposium and began to sing the national anthem in Navajo, she silenced the audience. What unfolded was achingly beautiful and chill inducing — a potent, wide‐reaching and inclusive paean to the United States delivered in the voice of an angel. Chef Jose Redon, a character in the terrific documentary BUGS, traveled with a bag full of insects from Mexico and connected with Telluride chef Lucas Price for a demo on how to cook — and eat — the high‐protein treats. People were both excited and unnerved by the prospect, but many dived right in for grub nachos and caramel ice cream with ant larvae on top. It began with wingsuit flyers from the GoPro Bomb Squad dropping from a helicopter into the picnic at Telluride Town Park and ended with a performance by Morop Namgyal, the lead character from Norman Vaughan Indomitable Spirit Award‐winning film The Song Collector. And, thankfully, the weather held for a record number of attendees to enjoy the spectacular day. 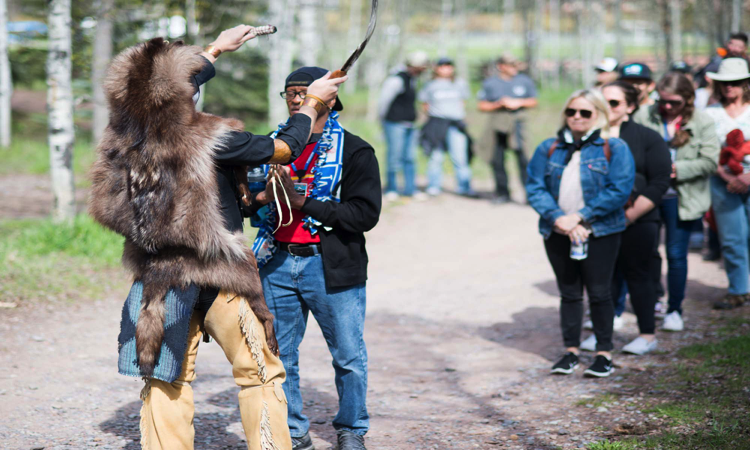 We offered a wide array of Free‐Range Programs — including National Geographic photo walks, forest bathing, SUP adventures, pack rafting and mountain biking — but the morning meditation walk for veterans on Memorial Day weekend was particularly special. The gentle walk ended at the waterfall in Telluride Town Park and was an incredibly moving experience.